Mass of Christian Burial for Jean D. Bonrud of Dilworth, MN will be 3:00 PM, Wednesday, March 28 at Holy Rosary Catholic Church in Detroit Lakes. Friends may call at the church from 2:00 – 3:00 PM with a Rosary at 2:00 PM on Wednesday. Jean D. Bonrud was born in Bottineau, ND to Alfred and Florida (Ruelle) Ploehn. She was united in marriage to Vertis Bonrud, August 12, 1955 in Lake Park, MN. To that union, a daughter, Kathy was born. The couple made their home in Flandreau, SD prior to moving to Detroit Lakes, MN in 1957. In 1967, they moved to Dilworth, MN where she resided until the time of her death. 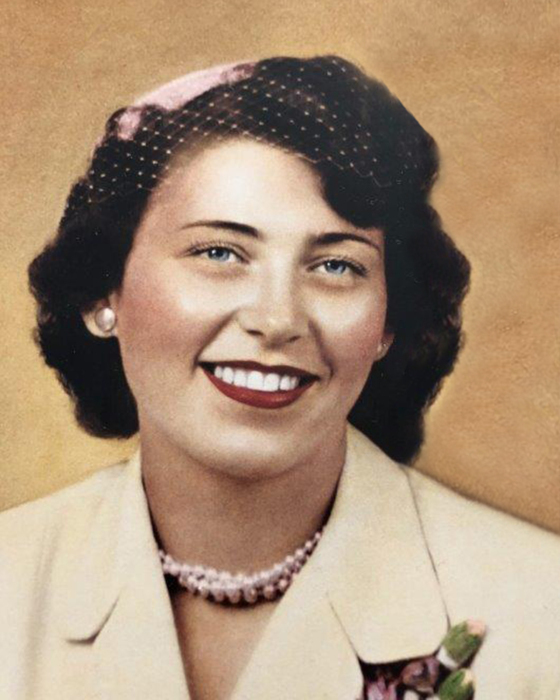 Jean worked hard and enjoyed a variety of jobs during her lifetime, including being a mother and homemaker, waitressing, working in a bakery and department store. Jean also worked at Emmanuel Nursing home in Detroit Lakes and managed a coffee bar in Moorhead, MN. Her health, unfortunately forced her to retire. Jean’s faith was very important to her. She was a very caring and devoted person. She always found ways to help those with any type of need, especially praying for them. Jean loved being a mom and spending time with her daughter, Kathy. They enjoyed shopping, going day trips, sharing meal time, attending church together and talking on the phone multiple times daily when apart. Cooking and baking, gardening and flowers, decorating, sewing, working with her hands, country music, working on old cars, and caring for and loving her pets were many of her passions. Jean loved to laugh and her beautiful smile was warm and welcoming. She will truly be missed by those who loved and knew her. Survivors include her daughter, Kathy Sorensen of Brandon, SD, her former husband and still a very close friend, Vertis Bonrud of Dilworth, MN, a sister: Carol Ploehn of Wadena, MN, a brother: Bob Ploehn of Billings, MT, 6 nieces and nephews. She was preceded in death by her son-in-law, Ron Sorensen.